Paul Colston attends the Korean MICE Expo (KME) 2018, and finds a new ‘Hallyu’ wave of enthusiasm for hosting international conferences. 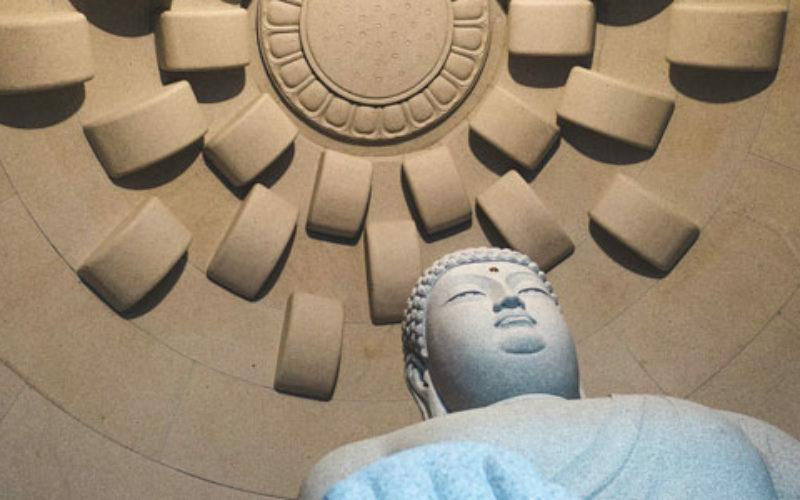 He also discovers a wealth of attractions for organisers keen to sample the ancient and modern delights of this Asian meetings powerhouse destination. The PyeongChang Winter Olympics is the most recent global event to offer a springboard for attracting international conferences and events to Korea. The staging of the Olympiad showed the country well able to organise one of the crown jewels in the world’s sporting and events calendar. That spotlight also brought into sharp focus the new wave – or ‘Hallyu’ – of enthusiasm for the country and its culture. The Korea Tourism Organisation (KTO) – MICE Bureau has also been taking its message out to the world via a series of roadshows across America and Europe in March and April 2018. The recent inter-Korean summit drew more publicity to the peninsula, and the follow up Kim/Trump meeting in Singapore further illustrated the power of face-to-face meetings in fostering a new political and peaceful dynamic. 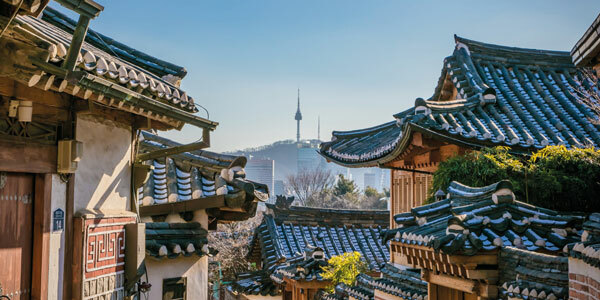 The latest UIA Global Meetings Statistics report illustrates that the South Korean ‘springboard’ is already positioned at a considerable height, with the country ranked No. 1 with 997 qualifying meetings hosted in 2016. So, the Korea MICE Expo (KME), which took place 14-15 June in the Songdo ConvensiA venue, Incheon, provided a timely opportunity to check out Korea’s largest business events’ trade show, and the country’s attractions. The two-day event brought 2,000 industry professionals to engage with 300 local service providers and exhibitors, including convention bureaus, unique venues and travel agencies. KME involved 172 international invited buyers and 21 media from 31 countries. 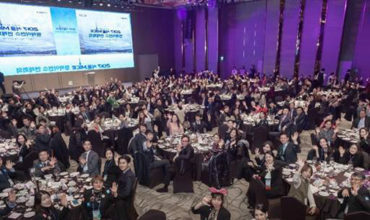 The usual formal sit-down gala dinner and forums were ditched in favour of creating a broader platform for buyers and suppliers to network, explained Chulbeum Park, director of the Korea Tourism Organisation (KTO) Meetings and Incentives team, which organised the event. An eve-of-show gathering also gave buyers and media a glimpse of Hanok architecture, music, food and Hallyu heritage at the Gyeongwonjae Ambassador Hotel, with traditional live music to entertain. Celebrating its 19th year, the KME exhibition proper introduced new programmes including a Knowledge Cafe and Young MICE Professionals’ booth, as well as an array of destination stands showcasing Korea’s incentive travel and corporate and association meeting venue jewels. Korea’s MICE leaders say the plan is to shift the paradigm of the inbound marketing to more qualitative growth, from the current focus on the quantitative measures. Indeed, the country is well set up for incentives, with China a large and growing market for inbound. “Korea has become a favourable destination for incentive travel, especially for groups coming from Southeast Asia. The increasing number of groups returning to Korea is a testament that the country has an infinite selection of places and activities that are able to please varying preferences”, says Baeho Kim, acting executive director of Korea MICE Bureau. KTO statistics back up the claim, indicating the number of returning incentive visitors to Korea in 2017 grew by 24% from the previous year, with 240 groups carrying 36, 720 delegates. The biggest crowd pleaser at KME were K-Pop superstars SHINEee, who drew in local convention centre staff to the packed delegate hall during the official show Opening Ceremony. The K-Pop fans’ hysteria was palpable and resulted in this correspondent’s tweet of the group at the opening gaining 300 retweets and as many “likes” – in just a couple of hours. Incentive groups can also tap into this exciting aspect of Hallyu, with KTO able to organise K-Pop concert tickets as part of a delegate programme. And K-Pop experience facility SM Town is the ideal portal for experiencing more of this – being a kind of mini-Disneyland for K-Pop stars. Have the political tensions involving the North affected your ability to attract international events? “A lot of people are relieved about the success of the inter-Korean summit. 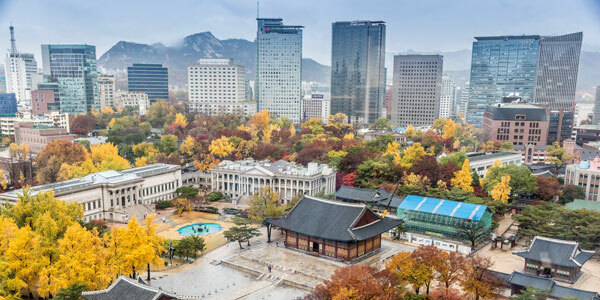 For this reason, the number of meeting planners and event professionals are gradually considering Korea as an option for their next meeting destination. Which economic sectors are the strongest for Korea in terms of conventions? “Among the economic sectors, its strongest drivers are manufacturing and the service sector. “While home to global conglomerates such as Samsung, LG, Hyundai and Kia, Korea is also ahead in terms of service industries. Through its R&D sector, Korea has been recognised by Bloomberg as one of the world’s most innovative countries for five consecutive years. 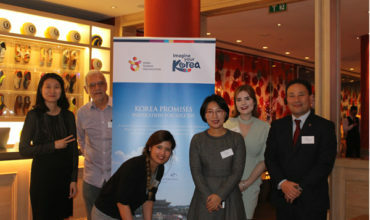 Many of Korea’s MICE events fall under the category of Business, Education and Medical Science. What forms of subvention funding can international organisers tap into? “The Korea MICE Bureau (KMB) has stepped up its efforts to make hosting international meetings in Korea more competitive than ever through the launch of its expanded Korea Convention Support Programme. “Eligibility is determined by an event’s size and duration. Smaller events can receive complimentary banquets, cultural programmes and tours, and high-quality souvenirs. Kim also promises more promotions following on from the popularity of K-pop, Hallyu, Hansik (Korean food), medical tourism and IT. “An overspill of these can further attract associations and organisations in holding MICE Events in Korea”, he adds. KME venue ConvensiA in Songdo is part of the Incheon Free Economic Zone, a dynamic smart city of the future where ultra-modern and green buildings reach for the skies and the latest technology integrates communities, business and technology parks. Ahn Youngbae, CEO of the KTO, said at the KME Opening Ceremony that Incheon was the gateway to Korea (its airport connecting to 189 countries) and visitors to IFEZ can view the scale of the project from the viewing platform of the IFEZ PR Center G-Tower, which houses meetings space and full information on the genesis of the ambitious and world leading project. The sky’s the limit at Songdo ConvensiA, too, only 10 years old, but set to complete its phase two expansion by the end of this summer, doubling its size and event capacity. Accommodation, shopping centres and restaurants are all within walking distance, and the area is eco-friendly and extremely safe. The expansion will see two new exhibition halls, a Grand Ballroom for up to 3,000 guests, and 12 new conference rooms. 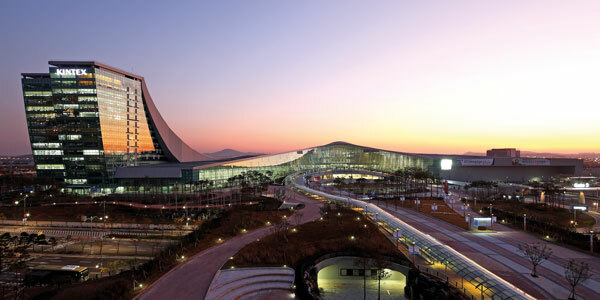 Songdo ConvensiA is also Asia’s first LEED-certified convention centre. Jeon Jae Ok, Convention team manager with Incheon Tourism Organisation says demand from China and international companies penetrating the South Korea market has put “big demand” on the limited meeting space, so welcomes the expansion. With all the KME action over in Incheon, the capital Seoul, just an hour’s drive away and its MICE charms should not be overlooked. 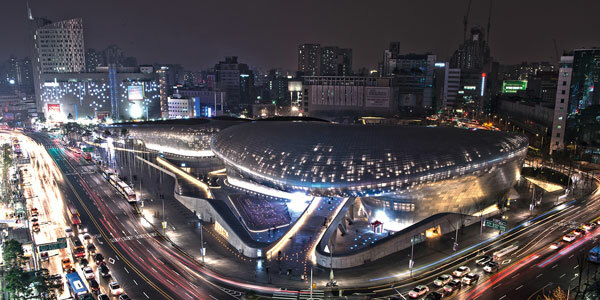 The big venue jewel in the capital’s crown is, of course, COEX, with over 36,000sqm of exhibition space, four halls and 54 meeting rooms over four stories. Not only does the company have a 30-year history of centre and event management, it is also transferring this knowledge to management of several of Korea’s newest centres, including Changwon Exhibition and Convention Center and the aT Center, which specialises in the agro trade. The mother venue in Gangnam certainly can deliver for style and the all-round delegate experience, being connected to Starfield Mail also. The convention running during my visit to the venue was dedicated to Korean smart factory manufacturing, an example of the kind of knowledge transfer available to organisers who may choose the destination. Propelled by the opening of SM Town, a juggernaut of Korean pop music, in 2015, and the designation of Gangnam as a Special Tourist Zone dedicated to the MICE Industry, COEX has evolved into a centre for business and culture alike. For a more exclusive meeting ambience, try out some Seoul style tapas at SMT in Cheongdam-dongam, where you may spot a celebrity or two. In the evenings the place turns from a venue for casual dining into a lounge with DJ and cocktails. The Penthouse is five-star and requires a reservation. If water floats your boat, check out Some Sevit (Three Floating Islands), which house one of the many stunning unique venues the city has to offer. Set in the Han River, Some Sevit is a cultural complex lit up bright at night and popular for weddings, receptions and dinners. The vibe down by the river will also bring your delegates in touch with both the magic of the water and the youthful vibrancy of the locals who gather in the area to socialise. And feeding your Seoul, I would recommend a trip to Itaewon where the delights of a typical Korean barbecue can be sampled, again set against a buzzing local vibe. The Dragon City first ever lifestyle ‘hotel-plex’ in Yongsan-gu, meanwhile, offers another glimpse of the future of business travel, with four hotels in one. 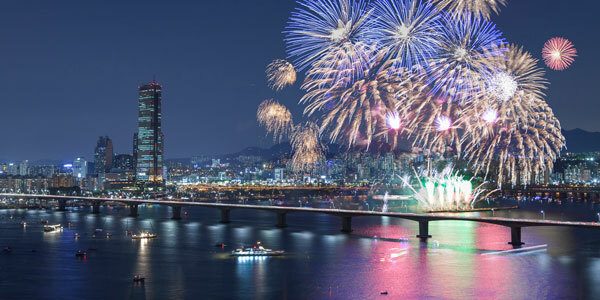 As well as offering various price points, including Grand Mercure, Novotel and Novotel Suites, and ibis Styles, there are spectacular views over Seoul, the Han River and Namsam Mountain. The complex has major conferencing rooms and all interconnect to large bedroom stock. Korea’s strength lies also in its geography as well as history. Using the fast KTX train, you can travel to Busan, the second city in two and a half hours from Seoul. The port is a trading and events powerhouse, with the BEXCO centre the main ‘lighthouse’ for conventions. The BIMOS motor show was showing off the venue to great effect when I visited and it is BEXCO’s lead that has helped the city cement fifth place in Asia as a conference city according to the UIA figures and 10th in the world. BEXCO’s largest auditorium can host 4,000 delegates, while 26,000 sqm of exhibition space divides into five main halls. Busan is also renowned for its international film festival (BIFF) and its cinema complex boasts the latest AV and technology. The outdoor screening space holds 4,000 during the film season. The city also has big political summit form, hosting the APEC Summit (2005). The Nurimaru Apec House, with spectacular coastline views, was the venue for the Asian leaders that time round and offers a secluded spot west of the Haeundae Beach for exclusive events by special agreement. The 310-room Hilton Busan has been open a year and offers some of the largest rooms in South Korea, with a minimum of 70sqm. The lobby gives a wow factor to die for, so much so that that the check-in desk has been cleared away to level 10 to allow the full visual impact of the 1st floor lobby (see our front cover). It is a venue that can offer inspiration to any meeting with its wavy design. The hotel is positioning itself with the largest hotel function space in the city, with two ballrooms, able to host 1,500 and 800 guests respectively. Additionally, there are seven meeting rooms, outdoor function spaces and a wedding chapel. Management told CMW the hotel has already built up its MICE business to 30% of its overall revenues and is booking 45 events a month. Should you wish to make the city’s nautical theme work for your delegates, you may wish to consider Bay 101 Yacht Club in the Haeundae resort. Definitely a place to dine and kick back with a drink. The Fingers and Chat Dining pub is a particular feature and there are food trucks on the estate too.